added that the partnership is expected to bring. 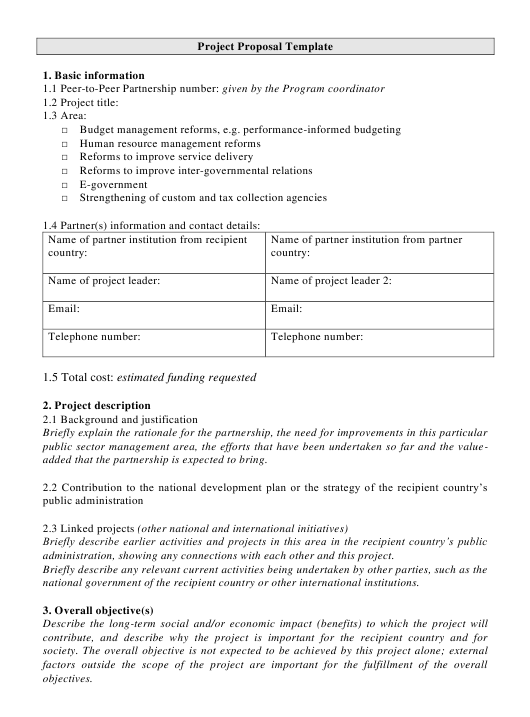 administration, showing any connections with each other and this project. national government of the recipient country or other international institutions. project is needed by the recipient country. project will be responsible for delivering. Also, list the indicators of achievement, which should be verifiable and time-bound. present them in a log frame because it will simplify the process of elaborating the work plan. consolidate the results of the project. quality and experience of its administrative experts. Describe the profile of the PC project leader (i.e. experience, expertise) and tasks. Describe the profile of the RC project leader (i.e. experience, expertise) and tasks.